We are now a few weeks removed from the end of the regular season and the Magic have yet to bring in any coach for an interview to fill their vacancy. 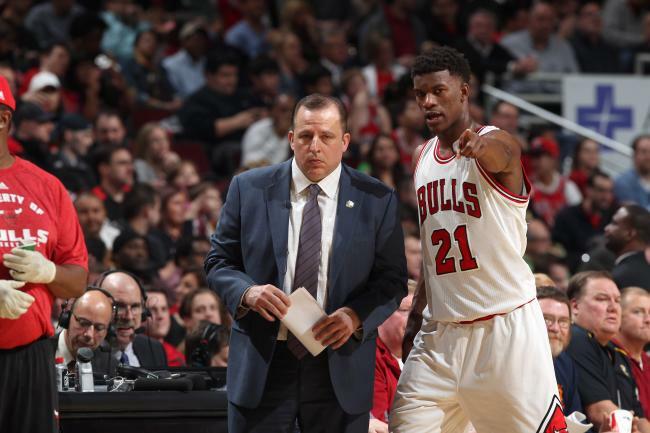 The theory mentioned most often revolves around current Chicago Bulls coach Tom Thibodeau. The league observers speculate that the Magic want to see whether the Bulls and Thibodeau will part ways after the Bulls conclude their playoff run. While Thibodeau to Orlando is no slam dunk even if he was a coaching free agent, the thought is still an ideal one. The Magic are a head coach away from possibly being top-five team in the Eastern Conference. I said a few weeks ago that Orlando is a good coach away from making a jump like the Portland Trail Blazers did a couple of seasons ago where they had a 21-win improvement. Going from 33 wins to 54. Now I don’t think this team would win 54 games, but a 21-game jump and a 46-win season is absolutely well within reason. And from there of course they would only continue to get better. But if they don’t land Thibs, guys like Scott Brooks and Mark Jackson could be nice hires. Both of those coaches helped lead young teams into taking that first step. The difference with Thibodeau, though, is he’s a guy that can help them take that extra step. These young guys need a coach that will teach defense and discipline. But if they can’t land one of those three, they’ll need to think a bit outside the box.